To the people of Baro, this film may not mean much beyond their borders in Guinea, but to those of us Africans who inhabit different parts of the continent and travel to all corners of the globe, this film reminds us that Baro remains an integral part of our ancestral musical experience and our heritage as Africans. I touch the ground below, my bosom, and raise my hands to high heaven, in praise of Baro for her untainted resolve to preserve what our Ancestors bled to build. Baro exudes so much concord of sweet sound that it strikes in all of us, even those beyond the shores of the African influence and experience, a fit of devotion to a culture so serene and so pure in its creation, and unparalleled fashion that a profound contemplation of the First Composer cannot but be awakened. To the Creator, I touch the ground below, and my bosom, and raise my hands to high heaven, in complete awe. That life is constantly in motion, that it is a rhythm – a rhythm to be listened to – may have eluded many a civilization. But not Africa. The word for rhythm as used by the Malinke, for example, is Foli. This is a word that encompasses so much more than drumming, dancing, sound or even music. 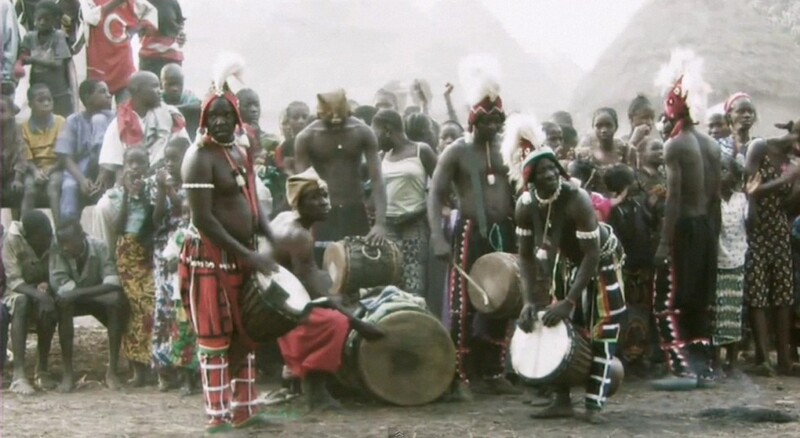 The Ewes in West Africa also refer to the rhythm of the drum as Vugbe. This word like Foli, points to a language that is at the root of all music, in fact, all rhythm and all of life. In Voodoo philosophy, these words carry an interpretation that underscores a language at the heart of life and all its material accompaniment – in sum, the basic building block or element of life and the world in which it exists, is a language. African rhythms strives to unearth this profound language in its contemplation of the Creator. No matter how romantic this film editing may have portrayed African rhythm; no matter how much it may have drawn a curious perspective from the outside world beyond Baro or Africa, which may be parochial if not unauthentic, it has nevertheless succeeded in paying homage to our African ancestors in underscoring that rhythm, the way it has been conceived in Africa, is not based on musical notes nor a rendition of a logical notation thereof, it is rooted deeply in African language and language alone. Any attempt to capture rhythm, African rhythm especially, in notation is as infantile an attempt as the close-minded effort to capture the infinite grace of the Creator in a book. 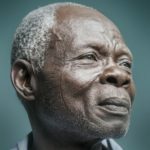 What African philosophy has always stressed, and what this film on Baro seems to have concretized in the minds of many, is emphasize that the Creator Him/Herself is Rhythm. Perhaps it is time to listen, as the Master Drummer, Mansa Camio, from Baro rightly puts it – “we are not going to cut our culture in the throat, it is here to stay, I believe it is here to stay,” unless the Creator ceases to exist, and in which case, we cease to exist! So how can we join in this brave effort to attain the high beauty of our Creator? In the steps taken by the innocent toddler? In the fetching of water from the riverside? In the beating of steel and iron into castanets? In the breath of the woodwind, or the percussion of the drum? In the vibration of the air, or in the mind of the composer, the appreciation of the audience? Or in the all-together kindling distant memories of heaven? Baro continues to inspire Africa and people of African descent beyond her shores. We are the music-makers. We are the dreamers of dreams, and though we may be wandering by lone sea breakers and sitting by desolate streams, yet we believe we are the shakers and movers of a world that is only about to witness the start of our genius in a new era. We are not about to cut our culture in the throat; it is here to stay, I am sure it will live on. God has a few of us whom he whispers in the ear; the rest may reason and welcome if they so choose: but it is what we Africans understand and seek to accomplish – to capture the Creator in all Her Majesty! Next articleWhy Does Michelle Obama Wear Relaxed Hair? Great rhythm. I wish I knew how to play anything, just anything! The world over no music beats African rhythms. So richness, such wealth. I enjoyed this piece a whole lot. Thanks!